A reading from the gospel of John 2:1-11. As we move into the season after Epiphany, when lectionary readings show us more deeply the revelation of Christ; listen for God’s word to us. And remember that this is the gospel of John’s telling of how Jesus’ ministry begins just after calling his disciples. Listen. Following Fellowship Time today, the new 2019 session of this church will meet for the first time. After we’re called to order for the meeting to begin, we’ll start as we always do with a time of devotion. Sometimes we spend a few minutes in silence to gather ourselves before diving into discerning business for the church. Sometimes we read a scripture passage and a reflection upon it. Sometimes we share inspirational sayings around a particular theme like gratitude or gifts or recharging for leadership among the church. Today, your new session is going to hear words from the “Foundations of Presbyterian Polity” as outlined in part two of our denomination’s constitution, The Book of Order. (You may know that part 1 of our constitution is The Book of Confessions which contains the 12 creeds and confessions by which we are guided theologically in the PCUSA.) Here are the words the session will hear as a part of their devotional time today. From F-1.0202 entitled Christ Calls and Equips the Church: “Christ calls the Church into being, giving it all that is necessary for its mission in the world.” We’ll hear these words too: “Christ is present with the Church in both Spirit and Word” (Ibid.). And “Christ gives to the Church all the gifts necessary to be his body” (Ibid., F-1.0301). Let that sink in – especially in light of a story from the gospel of John that demonstrates the abundant generosity of a God who would turn as much as 180 gallons of water into delicious, delightful wine just to ensure a family in Cana would not lose face with wedding guests who otherwise would be incredibly disappointed that halfway through the celebration of the union, nothing was left to drink! Take deeply into your mind, soul, and heart the words Presbyterians have trusted for centuries: “Christ calls the Church into being, giving it all that is necessary for its mission in the world” (Ibid., F-1.0202). Just to be sure we all remember, I should make you repeat it after me. Repeat it after me: “Christ calls the Church into being, giving it all that is necessary for its mission in the world” (Ibid.). I love to tell the story. Maybe you’ve heard it from me already. A year ago, we got going full steam ahead with renewed ways for this church to live out the mission of this church that you all discerned sometime the fall of 2015. You concluded that this church exists to serve God by serving others. About this time last year, two Renewal Team members began the process of making contact with the high school right across the street. Calls were made. Emails were sent. Calls were made again. This went on for something like six or eight weeks. We figured out who we already knew on the staff and tried to gain access that way. As a church we wanted to build community partners beyond the main one we’ve had for years with the preschool downstairs. And, as the high school literally sits across the street, we were offering to help. Asking for a meeting or any ideas on how we might be able to connect. Crickets. Nothing. No response whatsoever – nothing even back through the contact on the inside who tried to send on word for us. Sometimes God assists in clarifying a church’s mission by what does not work! The Renewal Team went back to the drawing board. What about an elementary school nearby, we thought. Or a different direction all together. Finally, we decided to give the nearby middle school a shot. A Renewal Team member re-composed an email sending it off something like a Tuesday late in the afternoon. Before I went to bed that night, I received two cc’ed responses. One was from Principle Carrie Jones. The other from Community Involvement Specialist Maggie Dicks. Both emails resounded with: “Yes!!!! We would LOVE for you all to become our community partner!” The next thing we knew, we were scooping out ice cream in their cafeteria to host a social for the 5th grade Welcome to Middle School night. Kleenix and hand sanitizer became regular items in all of our shopping carts to ensure teachers and students of the middle school would have all they would need. This past fall, tutors got started – five from among us. And, I’m excited to report that next Wednesday, our first parent from the preschool downstairs will drop off her baby downstairs then head over to the middle school to begin tutoring with students each week. “Wanna help with a Rise Against Hunger event,” we were asked. Two of you went during the very busy week of Thanksgiving to set up tables and pack highly nutritious non-perishable meals among 5th, 6th, 7th, and 8th graders. “Got any gently used umbrellas the children could use to get to and from their portable classrooms,” the school wondered? And here we are: about to go to a joint meeting with other middle school Community Partners to learn how we can work together next. Oh: and finalizing a date for us to provide lunch for teachers and staff during Teacher Appreciation week this March. “Christ calls the Church into being, giving it all that is necessary for its mission in the world” (Ibid.). Do you see how doors get opened when the Church gets clear about the mission in the world God has entrusted to us? . . . It happened almost as miraculously with Mending Hearts, the residential addiction treatment homes for women located just four miles northeast of here. For months we offered Mending Hearts a whole bunch of ways we could serve. At long last we connected on our Women of the Church hosting a women’s lunch for women in Mending Hearts’ addiction recovery process and women of this church. After two wonderful lunches together last year, we’re looking at plans for at least 2 if not 3 lunches together in 2019. Of course, a joint women’s lunch would be a great hit! This church is full of great cooks and lots of welcoming love! The thank you card received a few weeks ago from the Mending Hearts participants was confirmation! Indeed, “Christ calls the Church into being, giving it all that is necessary for its mission in the world” (Ibid.). I hope you know that ACA – Adult Children of Alcoholics and Dysfunctional Families – continues to meet in a room down the hall that hadn’t been used in several years. Every Saturday they are here. A small group at 10:30 a.m. meeting to specifically work through the process of healing from childhood trauma. A larger group at 1 p.m. to support each other on their journey of learning new, healthier ways to function after being children who had to become the adult of the household due to their parents’ personal problems. You may not know how it all came about that we now have nearly 50 people here every Saturday. You and the leaders of this church – the session and Renewal Team members – talked and dreamed and worked for this building to be used again by the community. About 12 months ago I remember asking if we wanted to set a goal to have a certain number of outside groups using the space by the end of each 2018 quarter. We weren’t ready to be that ambitious. T.H.E.Y. kept on tidying up what was needed. Prayers continued to be prayed. Sometime last summer I got an email from a woman I had met the prior year. 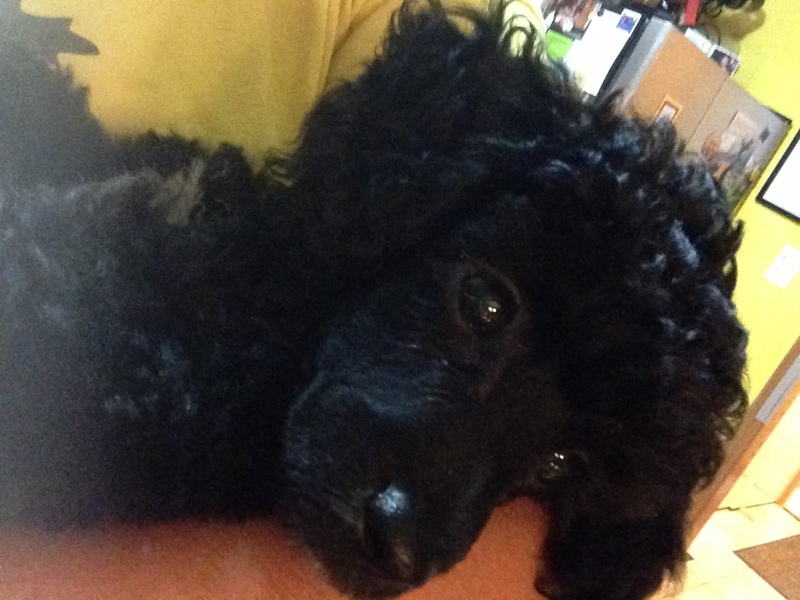 “Hello Jule,” the email read. “I’m a member of Adult Children of Alcoholics and Dysfunctional Families. The husband of one of your friends mentioned at our meeting Saturday that he had heard Hillwood might have space for community groups to use.” The session and leaders here diligently checked it out. We decided what we needed to know and do in order to make such regular upstairs space-sharing work smoothly. By the end of September, we had given over our first upstairs key to a group from the community that would use the building weekly. This week when I bumped into ACA leaders, I was greeted with big hugs. One asked if we could be sure to return all 50 chairs to the room in which they meet weekly because there were only 42 chairs the last few Saturdays and one participant had to sit on the floor. The other leader told me he was moved to tears at Christmas when they found the holiday card our Painting group made and left for each ACA group. He said that little card made him and other participants of ACA feel so incredibly welcomed by this church. A feeling not always experienced elsewhere before. “Christ calls the Church into being, giving it all that is necessary for its mission in the world” (Ibid.). . . . I saw it again this week. If you were here last Sunday for our FRED (Fellowship, Renewal, Education, and Devotion) brainstorm meeting, then you might recall that the following interests were put pretty high on the list: Nature Art – which is right in line with the plan to expand creativity ministries in 2019. A presentation by Retrieving Independence and maybe another Pet Blessing in conjunction with learning about the agency that trains retriever puppies in the local prison, then ensures those who need service animals have an affordable dog ready to go. Learning with other churches in the neighborhood also made that list. Wednesday I met with other neighborhood pastors. The first thing I was asked was if we might have any interest in partnering to bring another Rise Against Hunger meal-packing event either to the middle school or to the neighborhood in general by our churches working together. We moved on to wonder what might be possible if we pulled together the artist over at another nearby church with the people in our churches who already are into creative art as a way to feed their spirits. Before I knew it, I was being asked if church members might have any interest in a joint Blue Advent service next year – something two of you asked about in December – a Blue Advent service being a worship experience for healing and hope during the season of Advent. Because just when the world wants us to be jolly; many long for a quiet, holy space because they are grieving or going through other emotional challenges. “And what about a joint Blessing of the Animals,” one pastor asked Wednesday. “We could do it right on that big flood plain by the railroad tracks off Harding and Davidson.” 4 p.m. 29 September already is set. We don’t always get to see the ways that “Christ calls the Church into being, giving it all that is necessary for its mission in the world” (Ibid.). We either forgot to take the time to notice. Or we don’t really know how everything comes together in the life of a church – how God’s Spirit hovers over it all bringing God’s will to fruition! . . . If the gospel of John’s way of telling the opening of Jesus’ ministry has anything at all to teach us, it is this: an extravagant God abundantly provides. In the life of the church. In our lives in the world. Sometimes it seems as unexpected as water turning to wine. Sometimes as mystifying as suddenly having to figure out what to do with 180 gallons! Or as one commentator writes: “the equivalent of six hundred to nine hundred bottles of fine wine” – an act so miraculous we are called to linger for a while over an extravagant God (Connections, Yr. C, Vol. 1; WJKP, 2018, Matthew L. Skinner, p. 191). For, as that same commentator writes, “There will be no shortages or rationings when the messianic banquet opens its doors” (Ibid.). The prophets had foretold, as Isaiah 25 records: an amazing “feast of rich food, a feast of well-aged wines, of rich food filled with marrow, of well-aged wines strained clear” (Isaiah 25:6). For the banquet of the marriage – the celebration of the union of God with humankind – in Christ, has begun! And as that same biblical commentator reminds: “The church should . . . trust in a God who abundantly provides” (Connections, Yr. C, Vol. 1; WJKP, 2018, Matthew L. Skinner, p. 190). In our life together. In our lives when from here we go, may it ever be so! This entry was posted in Sermons and tagged 20 January 2019, Abundance, Cana, Christ Calls and Equips the Church, Foundations of Presbyterian Polity, John 2:1-11, PCUSA, PCUSA Book of Order, The Mission of the Church, Water into Wine, Wedding Feast of Cana, Work of the Holy Spirit on January 21, 2019 by RevJule. A reading from the gospel of John 2:1-11. Listen for God’s word to us as we hear of the gospel of John’s recording of Jesus’ first act upon his mission. I heard an incredible dream recently. The main symbol in it was a table. Now this wasn’t just an ordinary dining room table. It was the largest buffet table one ever could imagine! At least twelve feet wide and two or more lengths of this sanctuary long! It was immense! On it was every food conceivable. All the delicacies to enjoy: delicious-looking pastries, bountiful fruit, casseroles that smelled wonderful, and vegetable dishes that would make your mouth water just looking at them. All this, in just the first few feet of the bountiful table which was centered in the middle of an elegant, open-air balcony where people of all kinds joyfully were milling about. The occasion was Easter brunch. The mood was festive. Laughter and excitement and hope filled the air. Families were all together. Friends were enjoying the merriment of each other’s company. Everyone had a spot somewhere at the sophisticated banquet. 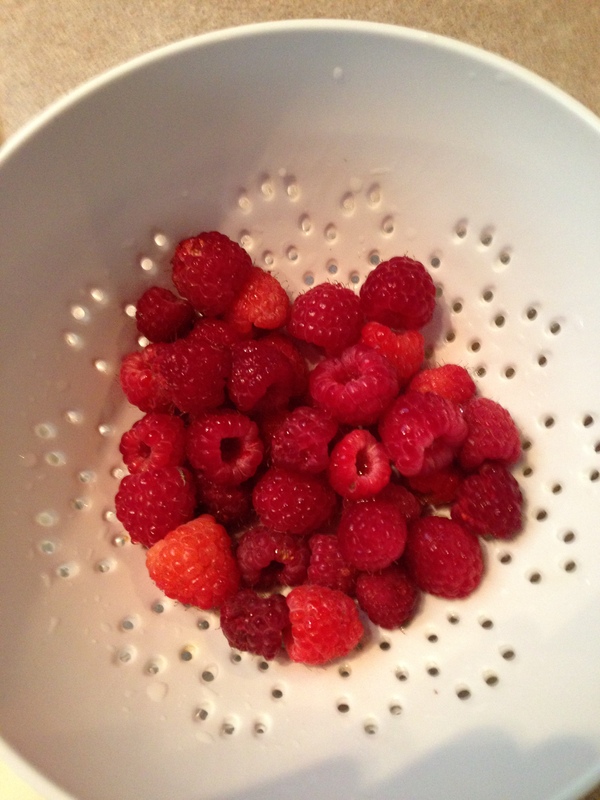 In a word it was the picture of abundance! Such an incredible dream! 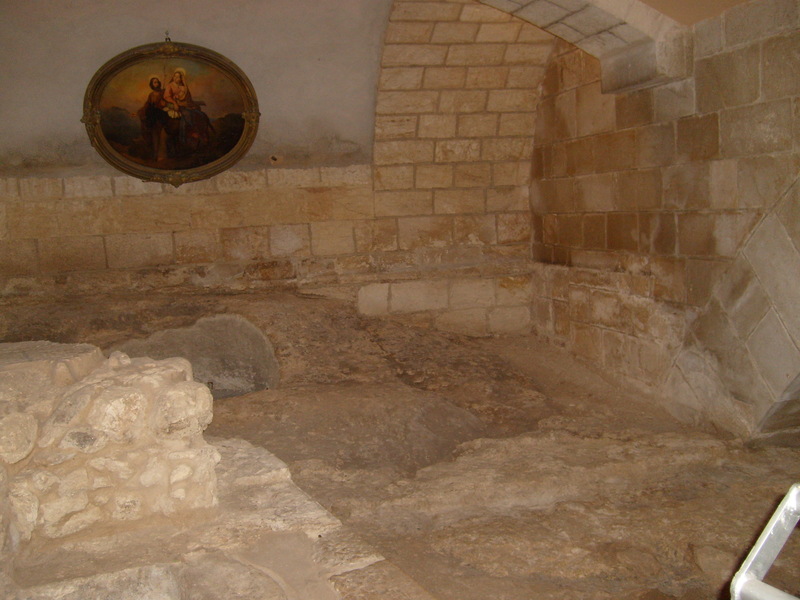 We’re not sure what the room looked like in Cana of Galilee. Though I’ve been to the church sanctuary erected over the spot believed to be the site, where the first sign of Jesus’ public ministry took place – at least according to the gospel of John. We’re not even sure if the wedding reception was in a room or outside somewhere in the open-air on the land surrounding the bridegroom’s home. What we do know is that after inviting a few men near Bethany to come and see, Jesus set out for the region of his home in Galilee. 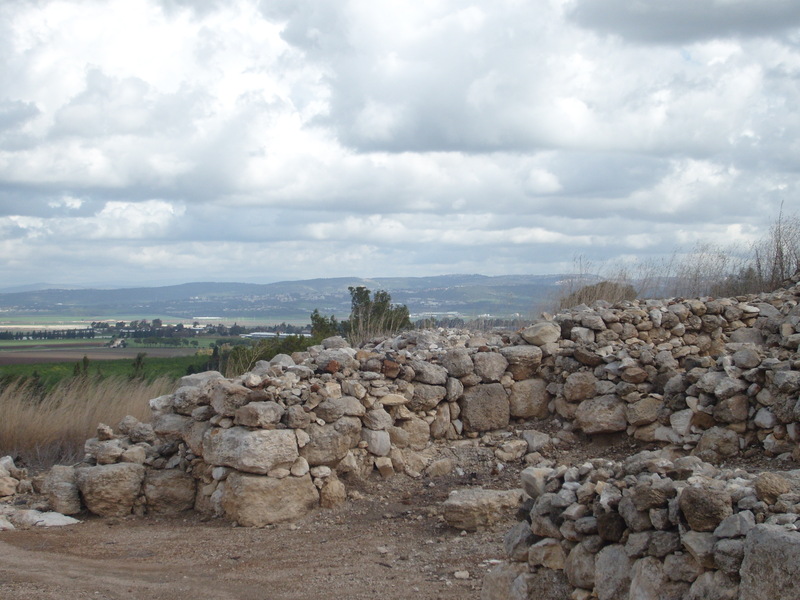 Cana was a few miles northeast of Nazareth and it seemed Jesus’ family was present at the event. . . . The writer of John’s gospel makes some interesting decisions in telling the story of the One met in Jesus, the Christ. From the start, reference is made to resurrection: “On the third day,” chapter two begins in the gospel’s launch into Jesus’ public ministry. Every reader of the gospel knows what else took place on the third day. From the start, we’re supposed to hear the story of Jesus with resurrection in mind. The whole point of this gospel is to embrace the gift of God’s promise. The surprise of the Light that shines despite the darkness. To welcome “What has come to being in him,” as John 1:4 states: “Life!” God’s promise for all: never-ending, abundant Life! Interesting too, this gospel begins Jesus’ public ministry at a wedding. Jesus and his first followers have been invited to a party: a celebration to honor covenants made. We’re again supposed to catch the deeper meaning of the ministry of the embodied Word beginning thus. Long years the people of Israel were told by God’s prophets that God was like their groom – and a frustrated one at that, waiting for his bride to be faithful. Remember the prophet Hosea? Just to prove a point, God had him marry Gomer, a wife of whoredom to show metaphorically that God’s wife, Israel, had forsaken the sacred covenant. In anger and hurt God declares to Hosea: say to my people “she is not my wife, and I am not her husband” (Hosea 2:1-2). The covenant has been defiled. . . . The metaphor has nothing to do with gender and everything to do with union. The coming together of opposites to create a third. Divine and human melding into one. As is happening in the Word becoming flesh to dwell among us. 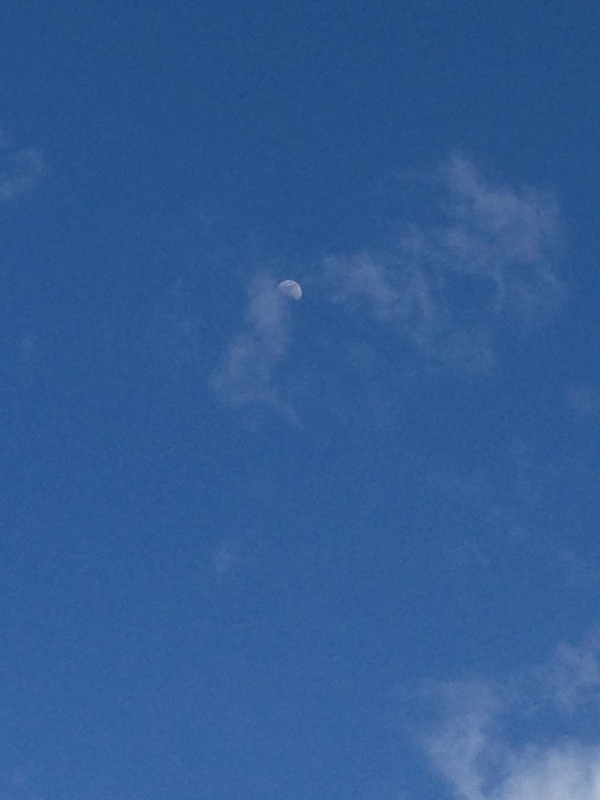 The Transcendent mingling with the stuff of Earth that both become something holy. Something cherished. Something new. Indeed, a wedding in Cana is the perfect place for the embodied Word to begin revealing his glory. Whether Jesus is goading his mother when she comes with the concern that the wine has run out, or if he’s not yet aware of his time; one thing is for sure. Mother Mary knows the One who is present at the party. After all, he grew in her very own womb. She knows the Bridegroom, the true Host, has arrived. The One who will attend to the needs of the guests. For it was what he was born to do. . . . At her prodding, Jesus takes up his mother’s ministry of hospitality in signs that reveal the abundant goodness of the true Host. The water becomes the very best wine – and an infinite amount at that. Anywhere from 120-180 gallons of the finest wine anyone ever could imagine! At last the prophesy of Isaiah is fulfilled that promised: “You shall be called by a new name that the mouth of the LORD will give. You shall be a crown of beauty in the hand of the LORD, and a royal diadem in the hand of your God. You shall no more be termed Forsaken, and your land shall no more be termed Desolate; but you shall be called My Delight is in Her, and your land Married; for the LORD delights in you, and your land shall be married. For as a young man marries a young woman, so shall your builder marry you, and as the bridegroom rejoices over the bride, so shall your God rejoice over you (Isaiah 62:2-5). As promised, God’s blessing is upon the people. A boundless sign shows it to be true. . . . Isn’t it beautiful? Here at the beginning of Jesus’ ministry, as the story is told according to the gospel of John, we see the abundance of God. Something like a bountiful table. A never-ending cup. Streams of mercy that overflow for all the world! One theologian writes, and I quote, that: “Christians ought to be celebrating constantly. We ought to be preoccupied with parties, banquets, feasts, and merriment. We ought to give ourselves over to veritable orgies of joy because we have been liberated from the fear of life and the fear of death. We ought to attract people to the church quite literally,” he writes, “by the fun there is in being a Christian” (Robert Hotchkins, Feasting on the Word, Yr. C, Vol. 4, pp. 262,264). . . . Too many have been made to think it’s all about rigid rules, and buzz-kill sacrifices, and hiding any sense of enjoyment lest God or anyone else might be watching! But that’s more like John the Baptist-kinda of faith, than Christ’s Cana-kind of grace. As see in the One who stands as the sign that heaven and earth – Spirit and flesh have been wed. The time for profuse joy and peace and hope has begun and is expected in us because of the bountiful nature of God! The gracious invitation to the never-ending celebration from the true Host, who dreams for our lives to be as extravagantly generous as God. As filled with eternal merriment thanks to the gift of everlasting, abundant life! Brothers and sisters of Christ, as Cana teaches: the abundant grace of God is here! Let the party begin! This entry was posted in Sermons and tagged 21 January 2018 sermon, Abundance, Cana, Dreams, Grace, Jesus' First Sign, John 2:1-11, Party, Resurrection, Water into Wine, Wedding, Wedding Feast of Cana on January 23, 2018 by RevJule. A reading from the gospel of John 4:1-42. Listen for God’s word to us. Monday in Kansas City, the NEXT Church national conference began. You’d think with a name like NEXT Church, this would be a conference put on by flashy young clergymen from one of those non-denominational, mega, pop-up churches. But, believe it or not, NEXT Church is a network of church members, youth leaders, educators, pastors, professors, seminarians, and ruling elders of the Presbyterian Church (U.S.A.). This national network of Presbyterians believes “the church of the future will be more relational, more diverse, more collaborative, more hopeful, and more agile” (www.nextchurch.net/about-next/). Their website includes relevant resources, an opportunity to be a part of a monthly web-based roundtable, and story after story of churches telling the ways they are re-imagining treasured ministries. There’s even a submission from a SMALL church of this Presbytery that created a 20-minute Ash Wednesday pod-cast to reach 1,000 listeners – something they did in addition to a drive-through line in their parking lot for commuters to receive the imposition of ashes on their way to work. Sounds pretty cool to me! . . . In addition to having a website filled with such creative options, NEXT Church also hosts an annual conference. This year, some 220 first-time attenders joined another 300 or so folks for a week of honest, inspiring conversation around the theme Wells and Walls: Well-Being in a Thirsty World. They spent all week around the gospel of John’s story of Jesus, tired out from his journey, breaking down walls as he sought out a local well. It may be shocking to hear, as the gospel details early in this story, that even Jesus was thirsty along his journey. Jesus seems to indicate that it’s four months before the harvest, so likely that puts them in the heat of summer, at noon, mid-way through the five-day trek of the 100 miles from Judea where Jerusalem is, back to his home district of Galilee, where Jesus undertook the majority of his ministry. Intentionally he takes the short cut. Maybe because he’s exhausted from the journey. More likely because he’s not afraid of the long-standing walls between people. Though the Samaritans may not be included in his people’s definition of one of us; the gospel of John tells the story as if he had a messianic need to go through Samaria. He may be tired out from his journey so that he sits at a well – likely hoping to quench his body’s thirst. But within, he also has another thirst. He has a thirst – a craving inside to encounter those of this world who thirst. This is the gospel, remember, that one chapter prior tells of Jesus encountering at night the Pharisee Nicodemus. According to the gospel of John, the last time we hear of Jesus in conversation with another; he tells that treasured truth: why God sent him into the world. Out of love, we hear on the lips of Jesus in John 3:16, the Word was enfleshed; not to condemn but that no last one would perish. The thirst that drives our Christ is to fulfill this mission of God’s. To complete this work, Jesus explains to his disciples after they return and find him talking with a woman, of Samaria, who has been passed from husband to husband. She happens to be the one who walked up in this foreign land through which Jesus decided to travel. So she becomes his first Samaritan disciple who runs off to tell everyone else about the One she encountered at noon at the well. It’s hard to tell when we’re thirsty, isn’t it? I listened to a friend this week who is worried she could end up hospitalized from de-hydration, as she was two years ago, because she can’t seem to remember to stop throughout the day to take in the water she needs. Due to a recent flood in her area, it doesn’t taste quite as good as it used to, but it’s still right there – with her in her computer case as she travels from place to place going about her daily work. According to Water.org, an international nonprofit organization that has been working for 25 years to address the global water crisis; 663 million people worldwide lack access to safe water. That’s one in 10 people on this planet, or twice the population of the United States, without safe drinking water. That’s a lot of thirsty, prone to disease and death people who literally need water to drink. . . . I could tell you stats about how many today describe themselves as spiritually thirsty but not turning to the church for connection with the Divine. A growing number of spiritually curious people in the United States do not see evidence that church-goers’ lives look any different than their own unchurched life. But we don’t need the stats to know how deep the thirst. We know the stories. Grown children who may still consider themselves Christian but do not participate in a local church; it seems irrelevant. Siblings who don’t make it a practice to be in worship anywhere – if they ever did. Neighbors who most likely spend Sunday mornings lounging and catching up as a family rather than racing over here – or to any of the other ga-zillion Nashville church options. Even those who want to be here, but no longer can be due to illness or mobility or physical capacity. Everywhere we look today, we see thirst. We, who come here week after week, also thirst. . . . What’s going to quench those parched places in us and in others? The gospel of John presents One who stays with the woman. Locked in what seems like a heady-battle, she questions and queries as one determined to protect her heart. With every response, Jesus just takes her deeper; deeper to the scorched places within. He meets her where she is and won’t allow any rules set up between them to get in his way. He is thirsty for her not to perish, which in the gospel of John has to do with a state of living right now, today. The eternal life that is God’s will is not just about eons to pass. Eternal life has a flavor that better matches our understanding of abundance – a state of being now that our Creator wants for us all. It’s the difference between a stinky, still pond of water and a fresh, gushing spring coming right up from the ground. Or the difference in a defensive woman at a well and a filled-with-vigor witness who drops her jar to sprint back to the village to tell news too good to be kept inside. It’s one filled with a joy-ful spirit who finally knows herself accepted in the eyes of the Divine, cherished as one welcomed into the fold. Standing in the presence of the One whose love will wash over her every morning like waves refreshing a tattered soul. Simply Jesus reveals himself unto her until, at last, everything within comes alive. He wants it for us too. And for every other person of this world who thirsts. Somehow the two go together – that when we are filled, the Spirit of God comes pouring right back out. We know it because in this story, Jesus never does get a cup of cool water from that well. His thirst is quenched in his encounter with the woman and those of her town to whom she introduced him. We’d do well to remember: it is in fulfilling the mission of God, Christ’s thirst is satisfied. . . . It’s like that with life-giving water. Ebbing and flowing between us like waves. No walls able to stop it. It just keeps crashing up against any defenses, slowly wearing ‘em down, until we’re drenched in God’s life-giving love. For us all in this world who thirst, may the Living Water flow! This entry was posted in Sermons and tagged 19 March 2017 sermon, Abundance, Eternal Life, Global Water Crisis, John 4:1-42, mission of God, NEXT Church, Spiritual Thirst, The Love of God, Thirst, Walls and Wells, Water on March 21, 2017 by RevJule. A reading from the gospel of Luke 12:13-21. Listen for God’s word to us as we continue to hear of Jesus’ final journey from Galilee to what lie ahead in Jerusalem. Has anybody ever meddled into what you make in a year? It happened to a school teacher at a dinner party. Perhaps you’ve read the story. It goes that a CEO was leading the conversation – waxing on about the problems of education in America. Maybe he genuinely wanted to know, though it seemed more like a smug turn in the conversation. Looking directly to the school teacher sitting across the fancy table from him, he said: “You’re a teacher Bonnie. Be honest: what do you make?” The room fell silent as all the guests were shocked by the condescending nature of the CEO’s question. Bonnie, ever a teacher, took a deep breath and frankly replied: “You want to know what I make? Well . . . I make kids work harder than they ever thought they could. I make a C+ feel like the Congressional Medal of Honor winner. I make kids sit through forty minutes of class time when their parents can’t make them sit for five minutes without an IPod, Game Cube, or movie rental. Do you really want to know what I make?” The story goes that she paused to look at each and every person sitting at the table, then continued: “I make kids wonder. I make them question. I make them apologize and mean it. I make them have respect and take responsibility for their actions. I teach them how to write and then I make them write. Keyboarding isn’t everything. I make them read, read, read. I make them show all their work in math. They use their God-given brain, not the man-made calculator. I make my students from other countries learn everything they need to know about English while preserving their unique cultural identity. I make my classroom a place where all my students feel safe and secure. Finally, I make them understand that if they use the gifts they were given, work hard, and follow their hearts; they can succeed in life. Then, when people try to judge me by what I make, I can hold my head up high and pay no attention because they are so ignorant. You want to know what I make?” The teacher said. “I make a difference in all your lives, educating your children (and grandchildren) and preparing them” to become who they will become. Returning her gaze to the man across the table from her, the teacher went on: “What do you make Mr. CEO?” The story ends by stating: “Don’t educate your children to be rich. Educate them to be happy, so they know the value of things, not the price. (For source, search: Funny Videos and More). We may know plenty of teachers who don’t approach what they make in this way. And, there are CEOs who aren’t just in it for the money. But the story gets the point across. Too many of us have our values all messed up. We labor for a paycheck instead of the contributions we are making for the betterment of the world. We choose our life’s path according to the bottom line of the good old American buck and all we believe will come with it. We work hard to store up whatever we think we will need – experiences, products, larger sums in the stock market. . . . I’m sorry to sound as if I’m meddling now, but the text before us makes it pretty clear. Long the church has remained silent or apologetic in the area of life in which Americans today just might need the most faith-based guidance. That which we value – that for which we will toil; giving our blood, sweat, and tears. The way we define abundance. . . . It’s obvious from Jesus’ words here – and his words throughout the gospels. In fact, read through the gospels – especially the gospel of Luke and you will see that Jesus preaches and teaches about money, possessions, abundance, value more than any other hot button topic of the day. He’s most concerned with what to do with what we have. How to put God before that which we can get in this world. How to put our trust not in what we can earn or how much we have saved up. None of that makes us secure. Only in God are we truly secure. . . . If I was brave today, I’d have us all take out our check book registers – or for those of us who no longer keep such a thing, get online to look at our bank account expenditures. Take a good look. Then ask yourself: what is it you value? Or pull out your weekly calendar, if you feel like your money doesn’t deserve the scrutiny of your faith. Take a good look and ask again: what is it you value? “Take care!” Jesus said. “Be on your guard against all kinds of greed; for one’s life does not consist in the abundance of possessions.” . . . What does your life consist of? What do you store up? In other words, how do you define abundance? . . . A whole world around us has very clearly defined it for us: get more. Make more. Take more for yourself. . . . It sounds a lot like the man in Jesus’ parable. The rich fool. I mean, just listening to the story it makes you wonder what was wrong with him. The land produces so much more than he ever could imagine. He had barns, but they obviously already were full or could only hold so much of that amazing bumper crop, which he seems to think he made happen all by himself. And the ONLY solution he can imagine is to build himself a bigger place for storage? . . . It reminds me of the day my house in Chicago sold and I still was living here in the guest room at a friend’s house. Panicked about what would happen the day my moving truck arrived in Nashville and I had no home yet in which to unload; I went to one of the MANY storage places nearby to look into having a place for my things to be until I would be in the position to move out of the guest room into a house. The man at the storage rental told me he had just one unit left the size I needed. I knew Nashville had a lot of new people moving in but I was a bit shocked his HUGE storage complex could be so incredibly full. Curious, I asked him if that many people were in transition like me – in a temporary housing situation that required their possessions to be stored for a while. He looked at me as if I was the dumbest person on the planet. But still trying to be kind to get my business, he said: “Not really. Most of our units are people permanently needing extra storage. A lot of people have more stuff than can fit in their homes. We stay busy year-round.” . . . One look at my office and you can see I too have a lot of stuff. Jesus’ parable messes with every one of us. And I realize some of us have storage units for all sorts of good reasons: maybe it’s to store the belongings of a loved one whose house sold after they died sooner than we could sort through it all. Maybe we only have a closet or two at home – or no place for special seasonal items that we love. Maybe it’s the grown kids’ stuff while they’re away at college – or not yet in a home large enough for their personal belongings. Whatever. Jesus’ isn’t trying to judge us – he even says to the sibling trying to get him involved: “Friend, who set me to be a judge or arbitrator over you?” He doesn’t intend to judge; he intends to keep us on the path with him. Couldn’t that man in the parable have thought of ONE other option for his accumulated crops? “You fool!” Jesus says. “This very night your life is being demanded of you. And the things you have prepared, whose will they be?” . . . What if he threw a grand, week-long feast? Invited friends and family. Neighbors and strangers too. Imagine the fun! The laughter and love around one great big table as whoever arrived to enjoy a celebration together. When at last he laid his head on his pillow that night, never to wake again; a smile would have been on his lips, the voices of new friends still lingering in his ears. That would have been an amazing way to go out! . . . Could he have valued the immediate needs of the widows, orphans, and sojourners in the land over his own future situation? Maybe just put what he could in his existing barns and instead of trying to stock-pile more, just give the rest to the ones God long has commanded us to tend – the most vulnerable in our midst? . . . Presumably he didn’t do all that work in the fields himself. Did he have employees or day laborers who might have enjoyed an extra basket or two of the crops themselves? . . . Could he define abundance in no other way? Shown he valued anything else more than himself? Things like generosity. Kindness. Connection with others. Sharing because we know nothing comes to us all by our own efforts. We are NOT self-sufficient, no matter how much we want to live in the illusion that we are. Is storing up for ourselves really the only way to be in this world? Long, long ago, Jesus said: “Take care! Be on your guard against all kinds of greed; for one’s life does not consist in the abundance of possessions.” . . . With the way we’re saturated in our consumer culture each day, we would do well to keep Jesus’ words as a mantra in our hearts. Life in Christ does NOT consist in the abundance of possessions. Guided by his way, we get to define what we value – what abundance means to each one of us each day – because of what he values; how his life defined abundance. . . . Take care, followers of Christ. Take care. 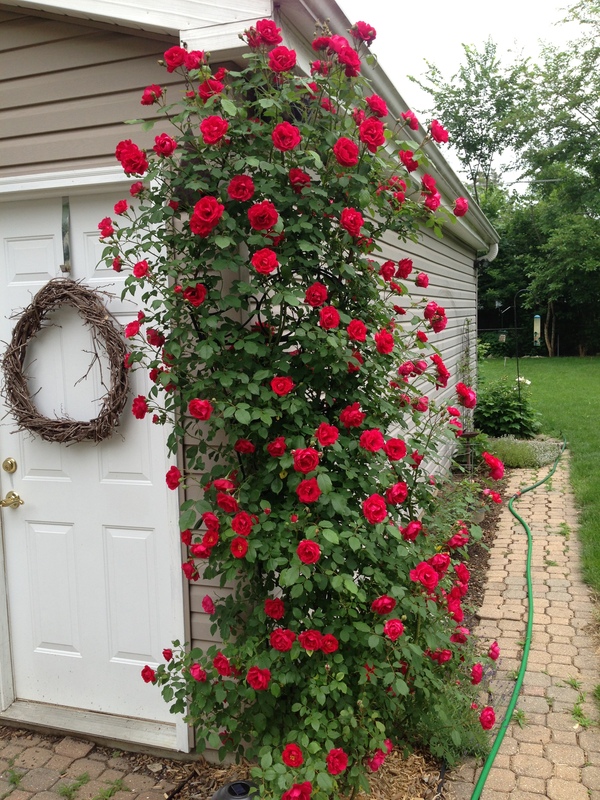 This entry was posted in Sermons and tagged 31 July 2016 sermon, Abundance, Contributions of Teachers, Luke 12:13-21 sermon, Storage Units, Value, Wages, Wealth, Work on August 1, 2016 by RevJule. A reading from Mark 10:17-31. Listen for God’s word to us. I heard a story this week about the ruins of the nunnery on the island of Iona in Scotland. (John Philip Newell, Christ of the Celts, “Prologue”). Though the walls of the nunnery have been fallen for years, at one time the edifice stretched to the heavens to house a community of women who had devoted their lives to God through life together in that convent. I don’t know much about how life unfolded for those who once thrived in that spot. The storyteller mentioned the joys of communal life: catching up with each other as they peeled potatoes for the community dinner. Finding one another in corridors when news from home came that broke their hearts in two. Strolling together beside the sea on Iona to tell of their latest insight. 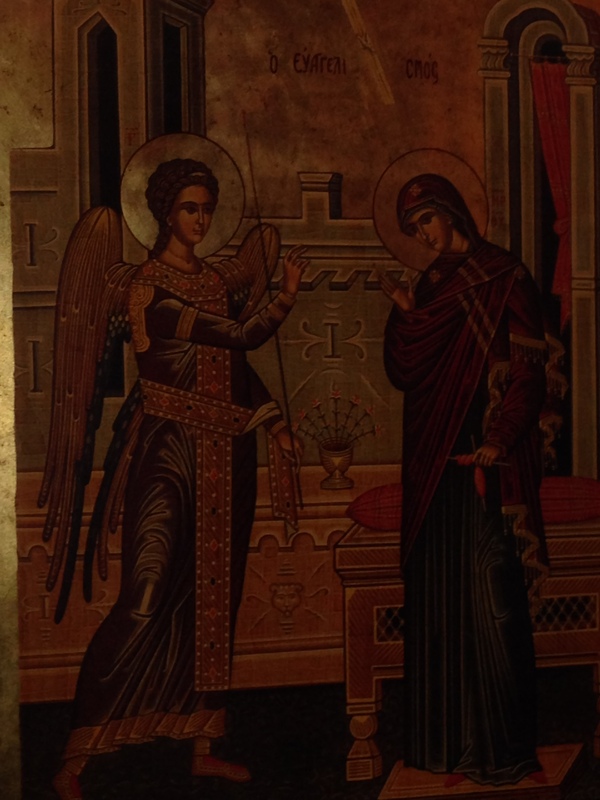 There in that nunnery, disciples had worshipped God and opened their hearts to the beauty of the Psalms and diligently prayed for a world at peace. They had welcomed guests and shared what they could with the downtrodden and sought to live out their lives in obedience to God alongside one another. Long have the ruins of the nunnery on Iona gone unnoticed, the storyteller explained. But in the past few decades, the spot has become one of the most hallowed on a weekly trek around the island for pilgrims that have come from all over the world. Something about the ruins of the nunnery speaks to seekers’ deepest desires for community. For expressions of Christian faith that know we need each other – that we are dependent upon each other if we’ve got any shot at living faithful to the gospel. 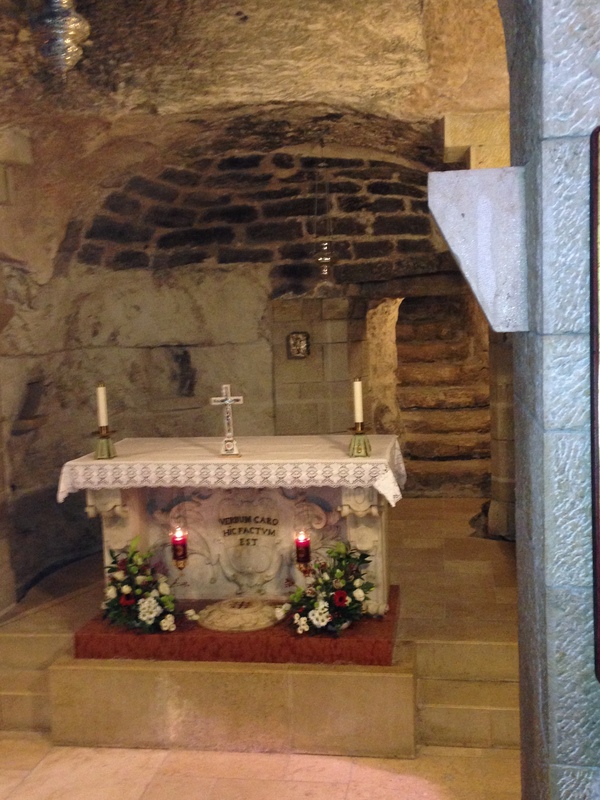 Something about that spot that marks the place where women once lived in devoted relationship together – well, something about that spot calls to the places in pilgrims that long for similar connection with God and one another. At first glance, the ruins of the nunnery on the island of Iona may seem to have not one thing to do with the gospel text before us today. It begins with an eager man coming to Jesus to know what to do to get eternal life. We immediately may think of the afterlife – as this man may have been considering as well. But Jesus clearly has a different notion about inheriting eternal life. . . . This is a good, God-fearing man who has done all he can to keep the commands of God. “Since my youth,” he says, “I have followed God’s law” (Mark 10:20). No murder, no adultery, no stealing, no false witnessing, no defrauding, and dutifully bringing honor to his mother and father. In a look of love, Jesus tells him one thing more: “go sell what you have, give the money to the poor, then come follow me” (Mark 10:21). After the whole exchange about camels going through needles’ eyes, Jesus disciples start to wonder. What about their reward? If the man with many possessions wants to know about inheriting more than he already has, then what about them? They had left everything to follow. They committed themselves to being Christ’s disciples. As if the adventure of all those miracles wasn’t enough – seeing him feed hungry crowds, and heal broken bodies, and turn lives around with the good news of God’s unmerited love – as if all that wasn’t abundance enough, Jesus’ disciples start wondering what they might inherit for all their trouble. It’s how we know Jesus isn’t talking just about some distant future after our days on earth are done. You see, what God’s up to never has been just about some day by and by. It’s so easy to forget. As we’re out here on the road of discipleship, how often do we stop to take stock? How often do we pause to see the ways our lives already overflow abundantly – eternally – because of our inclusion in the body of Christ? . . . He’s telling his first disciples they’re surrounded now with brothers and sisters on the journey. All sorts of opportunities to exercise the message he’s teaching them. They’re encircled by the joys that come from life together in Christ’s name. The ways we know love and mercy and hope and peace and forgiveness from our lives intertwining with those in this sanctuary and beyond. . . . Think for a moment how your life would be if you had nothing to do with the ministry of this church. What would vanish – who would vanish immediately from your life if you weren’t a part of this congregation? . . . From my own, I know I’d be missing out on a whole lot of laughter and love and care. Without one another, you just might not have made it through that last family struggle. 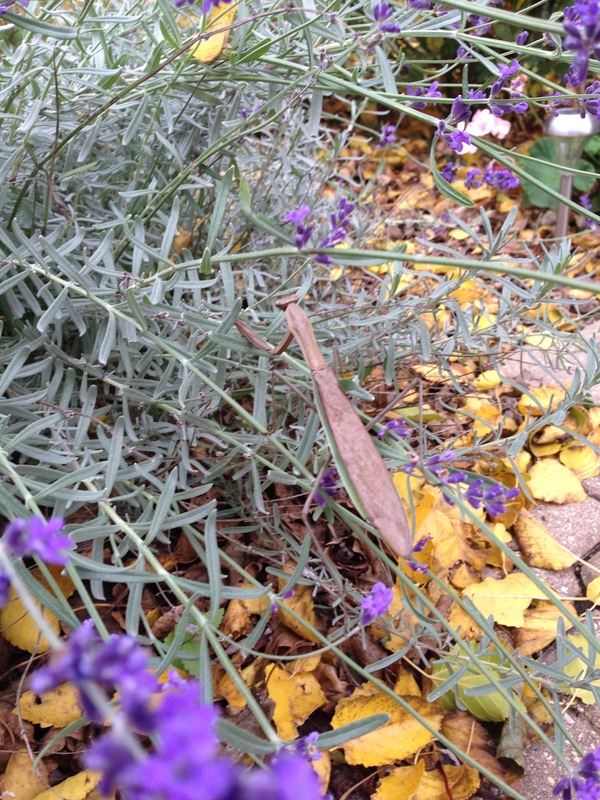 Would you have been able to fend for yourself through the illness that nearly took you under? Would your worldview be as big as it is because of the insights you’ve heard in Sunday School, or the stories you now know from those coming for help from the food pantry? Would your spirit have had that moment of connection with God’s Spirit without the inspiring music of the choir? Would you know people who do pray for you and listen to you and are ready to help you in times of need had your life never come into the presence of Christ living through the people of this church? . . . It’s easy to focus on what we hope to get one day at our end; but Jesus won’t let us get stuck there. He’s among us to let us know that each day, as a part of the family of God, is our reward – our blessing as we share our lives with one another and with all in need who cross our path. . . . Somedays it might be like iron sharpening iron – the rough edges of ourselves getting smoothed out in relationship with one another. Somedays we might more fully know our convictions – the truth God has put within us because of some other message we hear from another. I heard from a homebound member of this congregation this week – even though they can’t be present right now. They said that just knowing you all are here, the love of God continuing through you in this place – well for that homebound member of this congregation, that is comfort enough. It’s what the man coming to Jesus will miss. It’s not that Jesus wants us all to give up everything we have to come after him. Unless like that man, we’re locked in an isolated circle of our own wealth. The man can follow all the rules all by himself. He can’t know love, however; he can’t know the kind of pour-out-your-life for the benefit of another which is God. He’ll never experience that all on his own. None of us will. . . . We can possess all sorts of stuff in this life, and let it possess us. Or we can hold on loosely in order to have hands open, ready, willing to be with another. Reaching out in relationship to experience today the hundredfold wealth of community in Christ’s name. It’s a simple choice when we get down to it: for what reward will we toil? This entry was posted in Sermons and tagged 11 October 2015 sermon, Abundance, Celebrating the Ministry of the Church, Celebration Sunday, Christ of the Celts, convent, Inheriting Eternal Life, Inheriting God's Kingdom, Iona, John Philip Newell, Mark 10:17-31 on October 15, 2015 by RevJule. 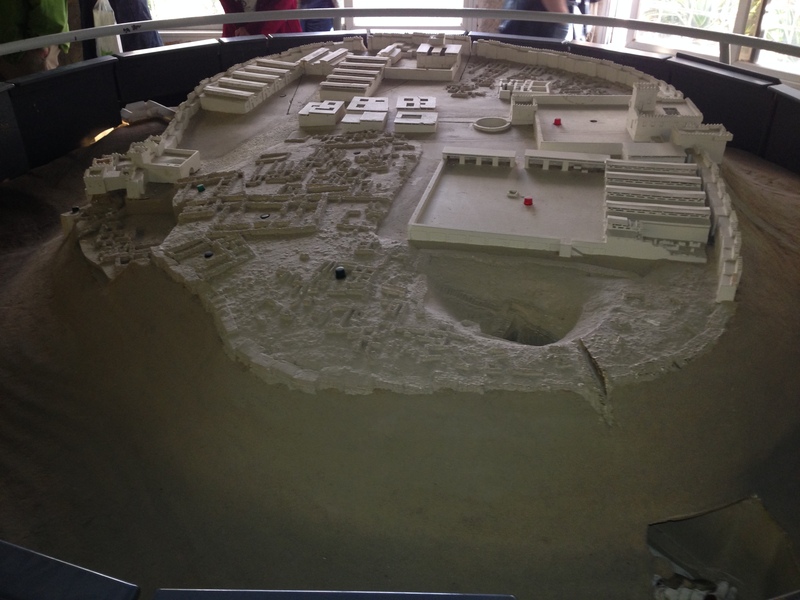 A model of the walled city of Megiddo. Vertical Shaft inside the walled city leading down, down, down 120 feet to a water spring 215 feet through a tunnel — an ancient way to get fresh water! 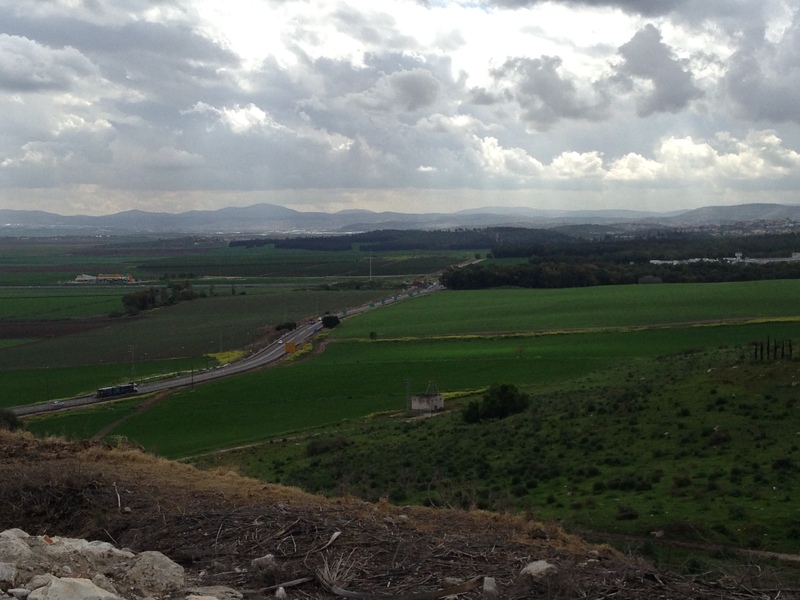 A view from Megiddo of the Jezreel Valley. 10 March 2014. 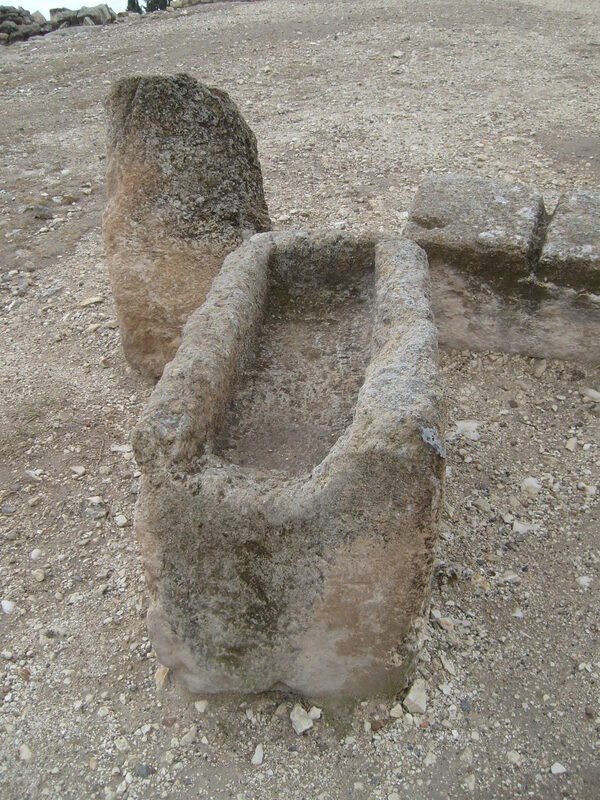 A remaining ancient manger (for feeding horses) on Megiddo. 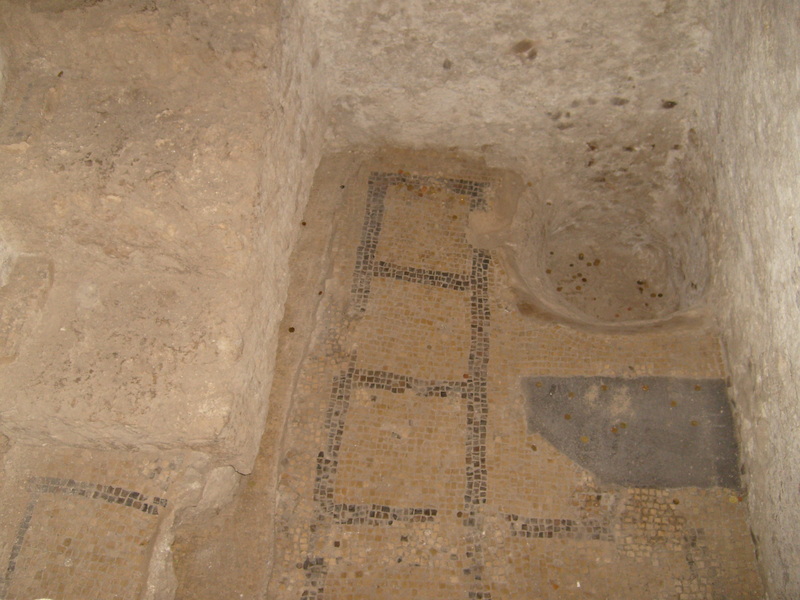 Ruins in Nazareth believed to be the Holy Family’s home. 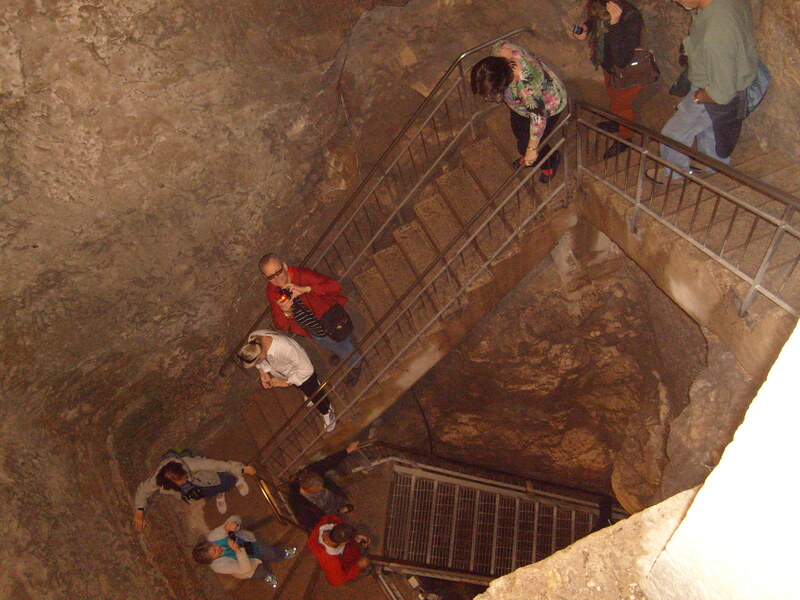 The well of Nazareth (the believed site of the messenger’s first visitation). 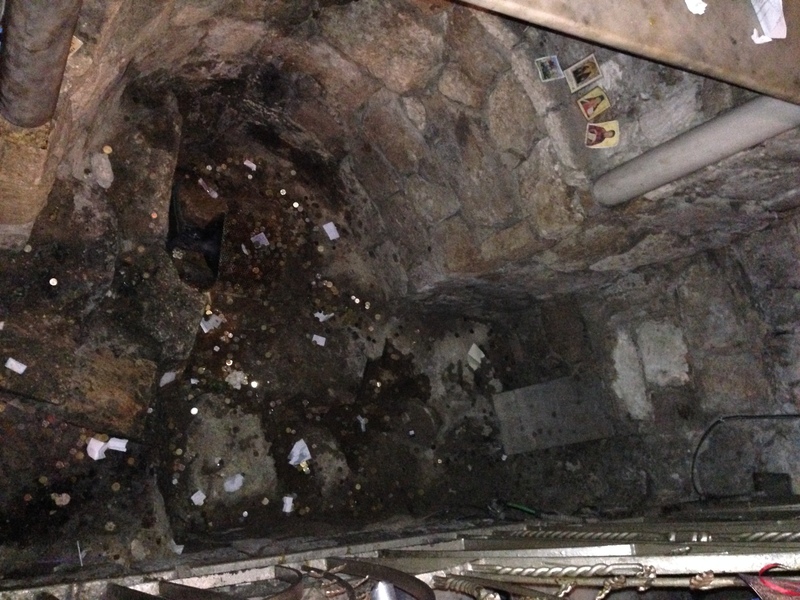 The site believed to be the spot of the 2nd visitation to young Mary (in her house). 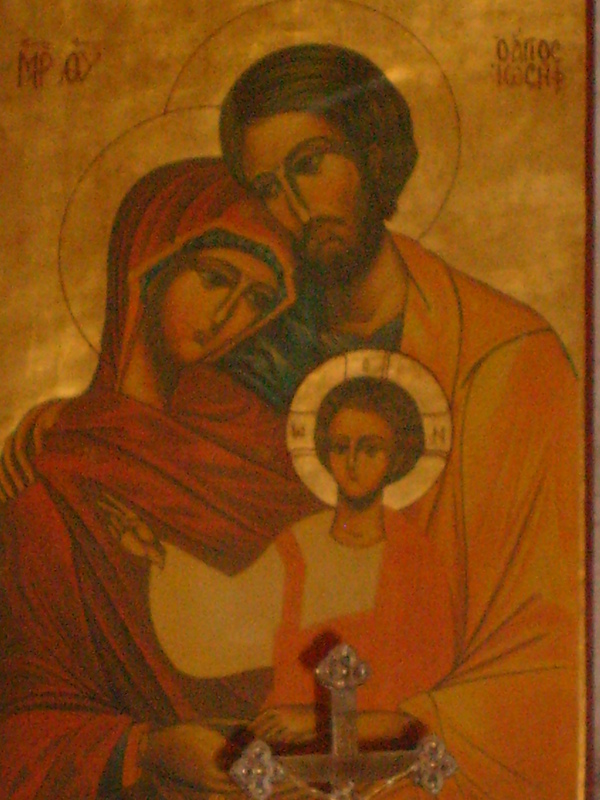 Photo of the Holy Family Icon. Taken by JMN. 10 March 2014. 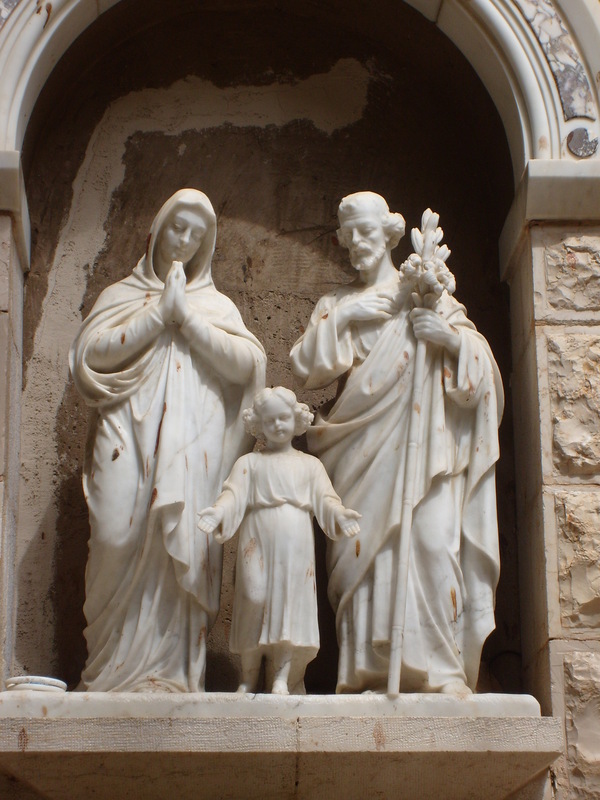 Statue of the Holy Family outside the Church of St. Joseph. Nazareth. The sky over Cana in Galilee. 10 March 2014. Baby Ru! 1 August 2013. 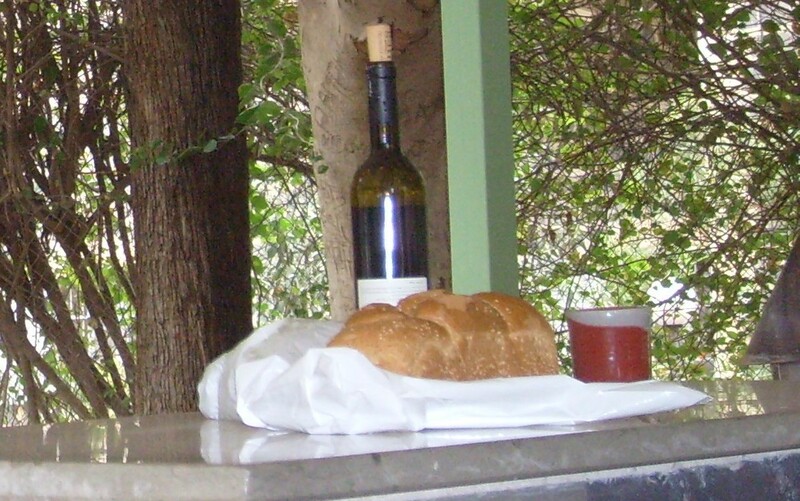 This entry was posted in Holy Land Pilgrimage and tagged Abundance, Annunciation to Mary, Cana, Childhood home of Jesus, Death and Resurrection, Holy Land Pilgrimage, Jesus first sign of water into wine, Jezreel Valley, Megiddo, Nazareth, Wedding Feast of Cana on March 11, 2015 by RevJule.